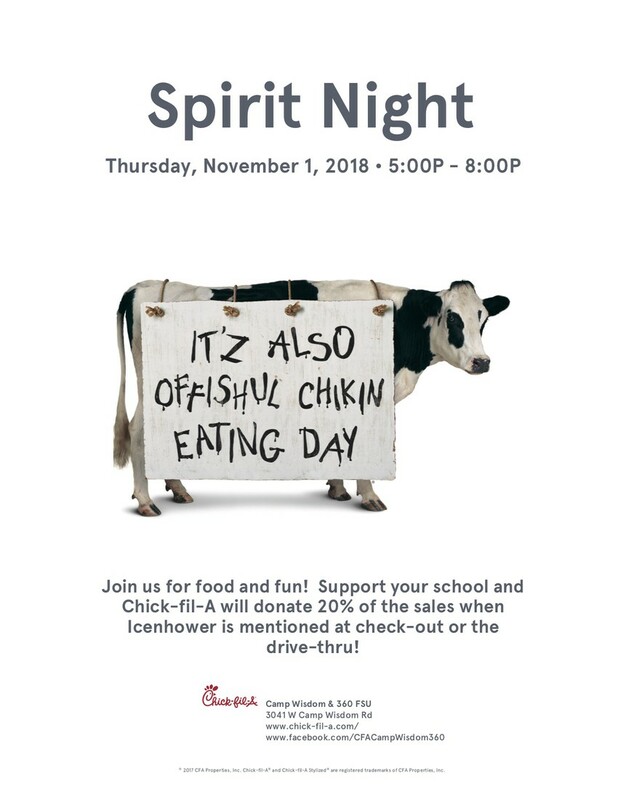 Icenhower Spirit Night at Chick-fil-a this Thursday!! Thursday, November 1st is Icenhower Spirit Night at the Chick-fil-a on 360 at Camp Wisdom (Target Center area), from 5-8 PM. We will receive 20% of a sale when Icenhower is mentioned. We need this to be a BIG Night!! We will use the money we raise for books to build our classroom libraries to support our Reading Initiative.